The restaurant has taken a prime location on the corner of North Street which formerly housed Roots café and Red-Hot Razzberry. HUBBOX Taunton is the first of the seven restaurants to boast a Parilla charcoal barbecue, hand built by UK based Ox Grills. From the grill, new dishes will be showcased on the menu. Inspired by HUBBOX’s Cornish heritage and beach lifestyle, barbecued seafood and prime steaks will be served alongside craft ales, ciders and imaginative cocktails. HUBBOX founder Richard Boon says: "We can’t wait to bring HUBBOX to Taunton. It brings back many happy childhood memories, watching cricket with my dad. Taunton holds a special place in my heart. Having opened in the harborside town of St Ives in 2003, the last 15 years has seen HUBBOX build strong relationships with the best producers the West Country has to offer. Phillip Warren butchers, Baker Tom bread, Matthew Stevens Fish and potatoes from South West farmer Philip Pryor; will all be supplying the Taunton restaurant. 35 new jobs have been created as a result of the sizeable 184 cover opening on the thriving high street. 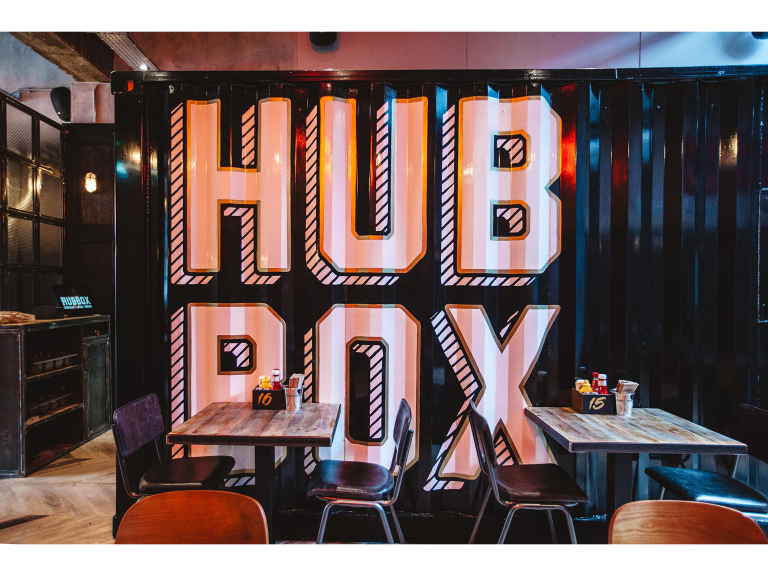 HUBBOX, which opens on 5th October will offer all day dining to Taunton.